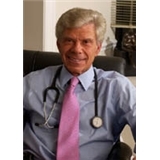 Myron D. Goldberg, MD (New York) - Book Appointment Online! Myron D. Goldberg, MD, is one of New York's leading gastroenterologists and hepatologists. With more than thirty years of practice in the Tri-State Area, he provides privacy, professionalism, state-of-the-art facilities, and an exemplary safety record for every patient he sees. Dr. Goldberg is knowledgable, professional and caring. He was able to answer all of my questions and concerns as well as accommodate my busy schedule. He is a very comprehensive and compassionate physician! I highly recommend him. Being in the healthcare profession myself, I can truly say he is a great clinician and I highly recommend him!